← Over due ramen post! So sorry! 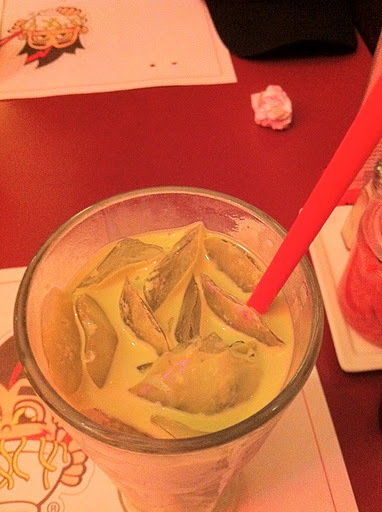 Here’s another overdue blog for ya! 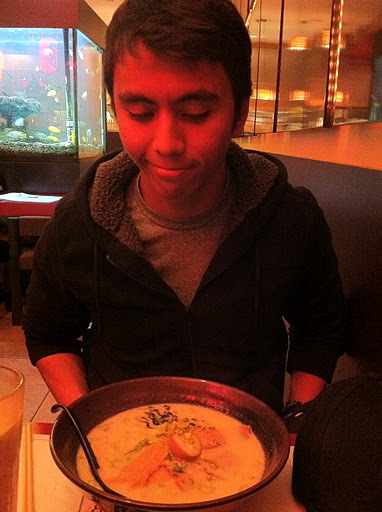 I went on a ramen run with my brother, Mark, after work one day (December 12… yeah I know.) I mentioned before that I work in Pasadena, and from time to time, Mark works in Pasadena as well, at the Rose Bowl. 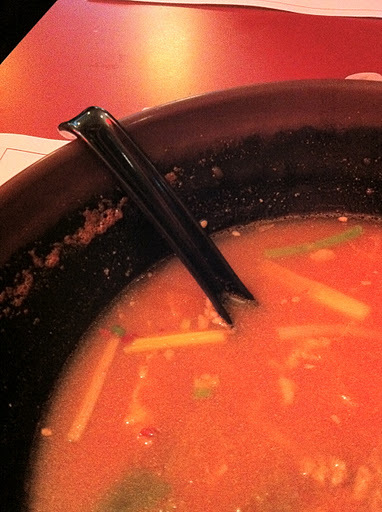 We were pretty hungry and was craving a nice bowl of soup so we decided to eat at Naga Naga. I’ve actually grown to like this place, just because I know what to expect and sometimes they actually make a good bowl of ramen. We got in and was seated right away. There was a section of tables for 2 at the front, and were seated there. A few couples came in and were seated in the same area. They seated a couple right next to us, a table that was only one foot away. Back to the ramen. 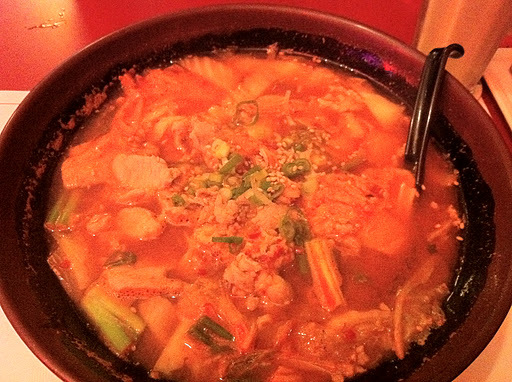 I ordered the Kimchee ramen and my brother ordered the Naga Naga. We both ordered their matcha green tea milk tea. For some reason, I was really craving this kimchee flavor. I’ve had the packaged kimchee ramen before and have always been curious about how the real thing would taste like. Well, it didn’t taste anything like the packaged stuff! My ramen had the miso soup base with the kimchee flavor. It was pretty good and I was glad it wasn’t unbearably spicy. I loved that it had tons of veggies and little pork bits. I wouldn’t mind having a bowl of this stuff again, especially on a really cold day and if I had a cold. But I mixed it and there it was! Greeeeen! I love places that have those hook spoons! I’ll never lose my spoon in the soup! Naga Naga isn’t so bad after a few tries. It’s still not one of my favorite places, but it’s one of those places I wouldn’t mind going to if I was in the area and craving ramen. I’m glad that I’m venturing out to other ramen flavors. I feel like I’ll have better knowledge of ramen the more I do this. 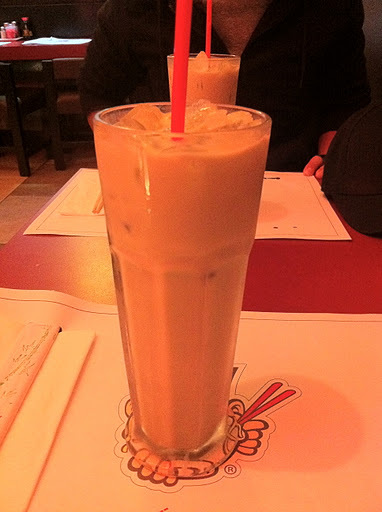 Anyway, here’s to another overdue blog!